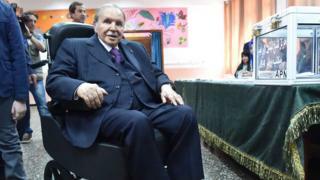 Outgoing Algerian President Abdelaziz Bouteflika has asked his country for "forgiveness" in a letter published by the Algerian Press Service. The president, who has been in power for 20 years, said he was "proud" of his contributions but realised he had "failed in [his] duty". Last week, Algeria's army chief, Lt Gen Ahmed Gaed Salah, had called for him to stand down. In a letter, the 82-year-old president expressed his "gratitude" for "the signs of affection and respect" from his "dear sisters and brothers". "To err being human, I ask forgiveness for any failing," he continued. 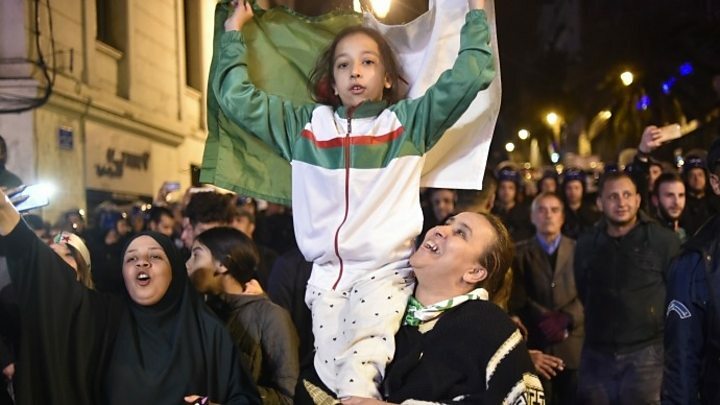 Mr Bouteflika also "implored" Algerians "to remain united and never succumb to division" after his resignation.